Basically painted the same as Koi. 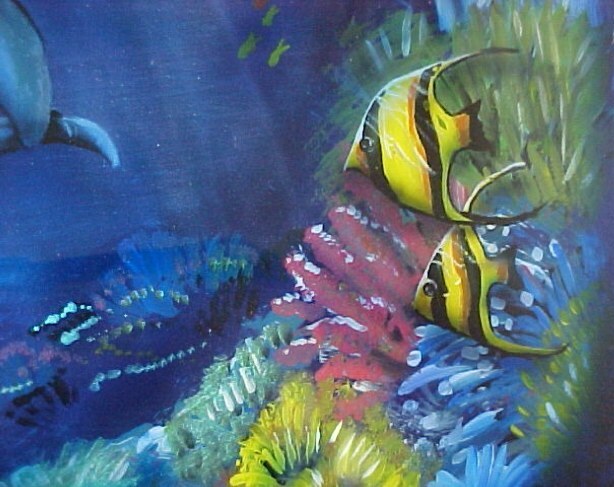 The blue background is painted on an 18"x24" sheet of metal with HOK paint. Then detailed by my son. 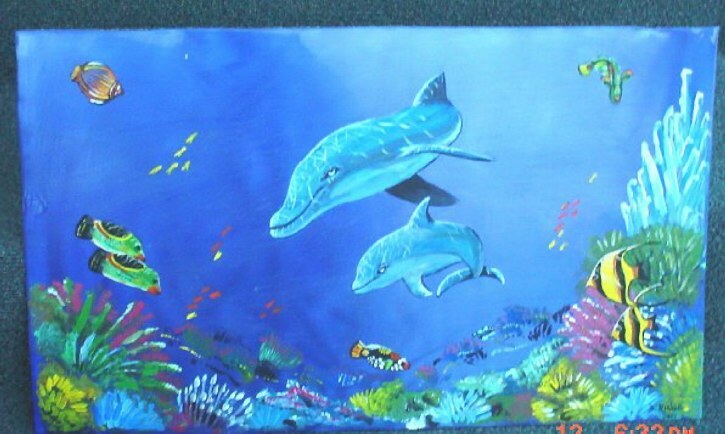 I then went in with acrylics and painted the Dolphins and underwater life.